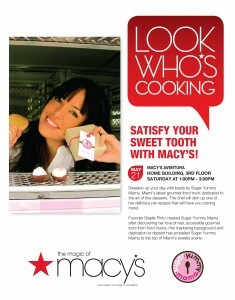 The story of Sugar Yummy Mama started in September 2010 with chef Giselle Pinto. Giselle Pinto was born in Venezuela, she decided to start her educational career with a degree in Marketing and then a Master in Corporate Communications, both pursued in Universities of the United States, where she lives since 1996. She is now the owner of a fantastically sweet “Empire” called Sugar Yummy Mama in the city of Miami, where she personally makes her desserts and is a recognized brand that manages thousands of followers on Facebook, Twitter, Instagram, Pintrest and Foursquare. Giselle began working with various advertising, communications and marketing companies, based in Caracas, New York, Miami and Austin, developing a significant visual and business talent. One of her most recent specialized work, which mainly led to her new passion, was her time working as Deputy Director of Food Services for Public Schools in the city of Washington, D. C.
Giselle has been mentioned in numerous press releases and invited to appear on shows like Un Nuevo Dia by Telemundo with Chef James, LORENA EN SU SALSA! produced by Chef Lorena Garcia. 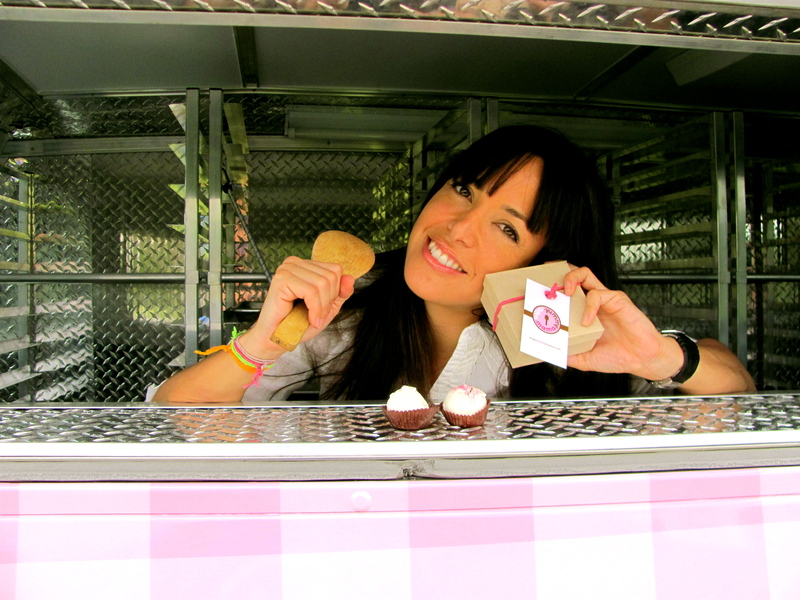 She has participated in the 2013, 2014, 2015 and 2016 at the South Beach Wine and Food Festival collaborating with Chef Douglas Rodriguez, Chef Lorena Garcia, Chef Art Smith and now as Sugar Yummy mama Atelier & Foodtruck. 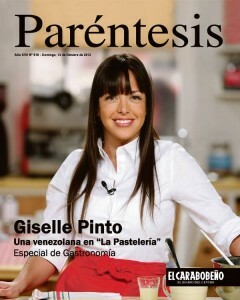 She participated in all 4 seasons as a panelist on “La Pasteleria” for Fox LifeTV Show (FOX Group). 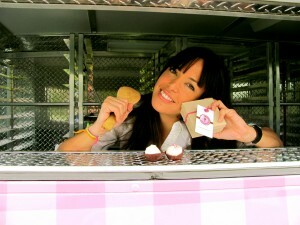 She was selected by Ocean Drive Magazine as one of the places “Where to find the best Pie in Town” by Victoria Pesce Elliott, also New TimesShort Order mentions her among Miami Ten Best Cupcake Shops -Ranked #3 , as well as Miami Ten Best Pies. 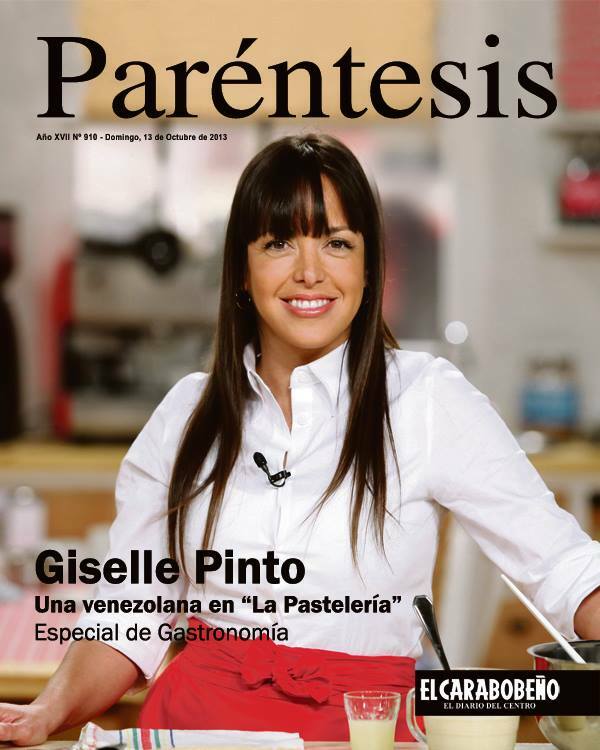 Most recently awarded as 2015 Best of Miami Bakery by Miami New Times, Miami Dade County Small Business of the Year, plus Chef Giselle Pinto is recognized as one of the 25 Latinas most powerful by People’s Magazine. 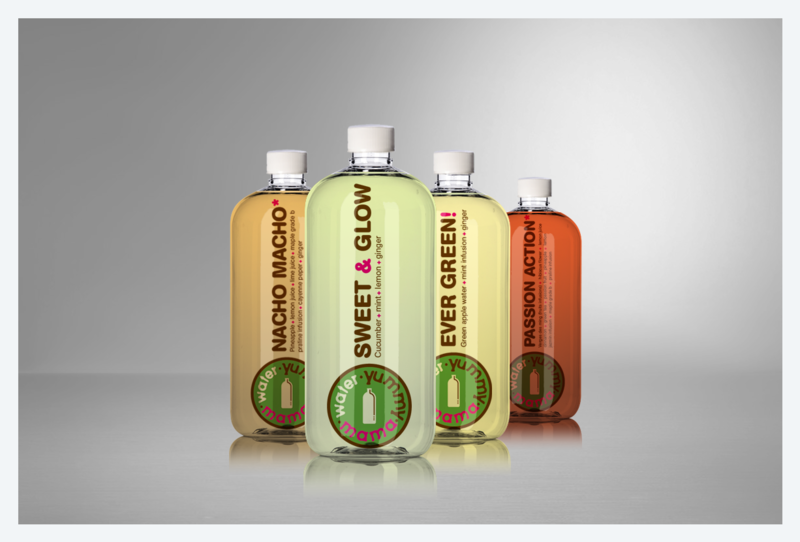 Recently she also launched the new line of natural enhanced beverages Water Yummy Mama, being a great option after exercise and available at different stores, gyms and yoga studios. This line includes vegan, gluten free and sugar free options for those with a more delicate taste or due to allergies. It has been thanks to Giselle´s experience that she has achieved the perfect blend of her two passions! Now her gourmet delights are enjoyed in different stores, restaurants aside from the atelier and the foodtruck. The fantastic movement of gourmet food trucks is allowing us to get to you and help us share our passion. Be part! 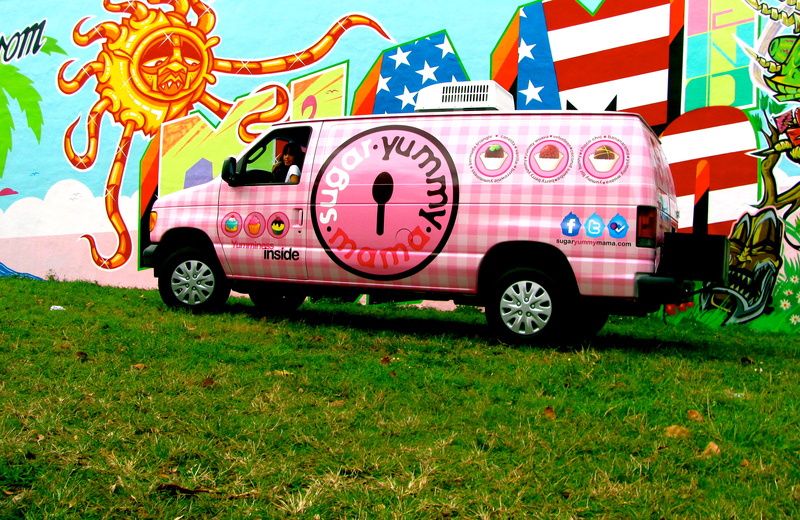 Our mission is to provide to you a unique gourmet sweet alternative for the Miami metro area. “We believe that Sugar Yummy Mama is a cultural experience associated with the culinary art of fine desserts.” Exquisite cake pops, cup cakes, alfajores, macarons and even push pops can be found in this refined mobile venue that will appeal to all those who show interest in a refined and uncontrolled loved for fine desserts (also known as foodies) in a practical way to eat.